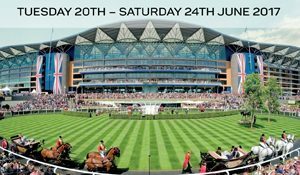 Ascot Racecourse in Berkshire, England has agreed a deal with NBC to broadcast all five days of the Royal Ascot Festival starting on June 20th. But what can US audiences expect from the royal extravaganza? 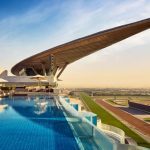 The world’s most prestigious race meeting gets underway on June 20th, with coverage beamed around the world. 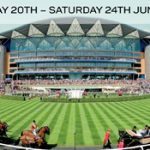 Over £1 million worth of prize money is handed out on each day of the festival, with a number of top-class horses expected to be in action. 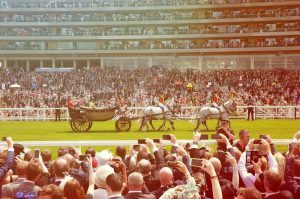 Historically, US representatives tend to be few and far between at the festival, although Lady Aurelia, trained by Wesley Ward, was successful in the 2016 running of the Queen Mary Stakes. The trainer is feeling bullish about his filly’s chances of repeating the trick 12 months later, but this time in the Kings Stand Stakes. It isn’t just Ward who is confident of her chances, with Lady Aurelia recently priced up as joint-favourite for the race. If you’re not as enthused over her chances, however, it may be worth taking advantage of welcome money-back offers from bookmakers such as those from Sportsbet; punters will get their initial stake refunded should she fail to find success if they visit the promotions page of the website here. Ward is also sending Bound for Nowhere to the festival, likely to compete in the Commonwealth Cup towards the end of the event with Fairyland and Princess Peggy currently being considered for the Albany Stakes. 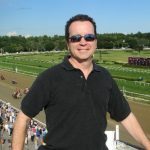 The trainer sent out his string at Keeneland recently in preparation for this summer’s exertions and there is sure to be plenty of interest in his stable occupants. Acapulco could feature during the festival for trainer Aidan O’Brien. The US bred horse was previously trained by Wesley Ward before making the move to Ireland. 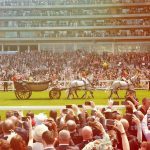 Queen Elizabeth II will be attending the event once again having not missed a single Royal Ascot since her reign began and there will be plenty of c elebrities spotted during the five days. One of the key races of the festival arrives on the third day, which is also branded Ladies Day. It is competed over two miles and four furlongs and was won by Aidan O’Brien’s Order of St George in 2016. The Irish stable are set to send their stayer here once again, as he bids to retain his crown. However, he will face tough competition from the French-bred Vazirabad who has been impressing during preparations for this contest. 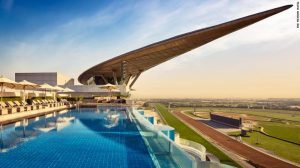 There are 30 races in total, with eight of those being competed at Grade One level, and there is plenty at stake for owners, trainers and punters. There is a strict dress code for visitors of Royal Ascot with top hats, waistcoats and ties a necessity for gentlemen, whilst ladies must not wear strapless dresses and hats are also essential. This is strictly enforced upon entry. A number of Best Dressed competitions take place in between the action on the turf as the festival continues its long-running association with sartorial elegance. All of the action can be enjoyed on NBC across the five days as sport meets fashion in the county of Berkshire. There is plenty of American interest this year, with the impressive Wesley Ward string hungry for success once again. 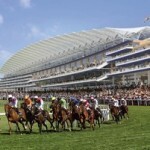 It is set to be another spectacular festival, which will be relished and enjoyed by race-goers and TV viewers alike.